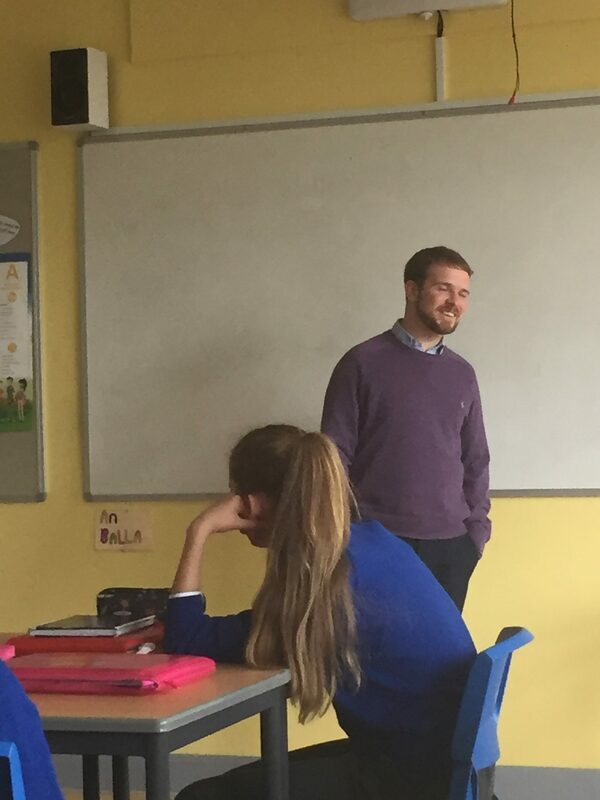 Today 1 Elliot’s rang gaeilge had a visit from local TD Donnchadh O’Laoghaire. 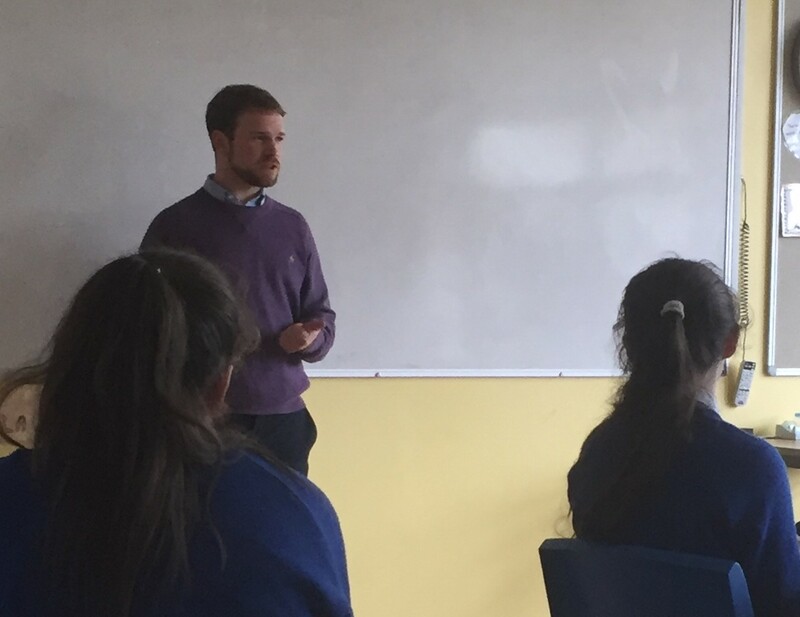 Donnchadh spoke to the class on the importance of Irish and opportunities that are available to those with a high standard of the language. 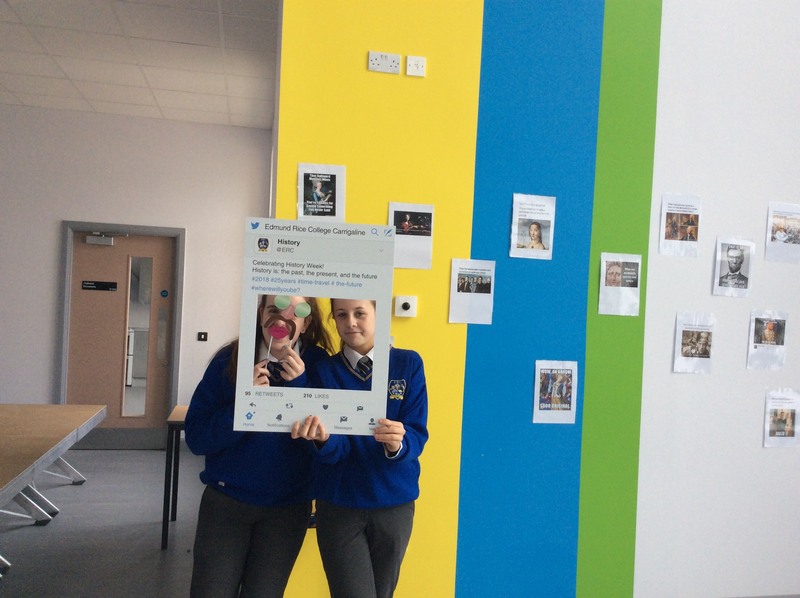 He also helped students understand the role of gaeilge in the Dáil and in Brussels. 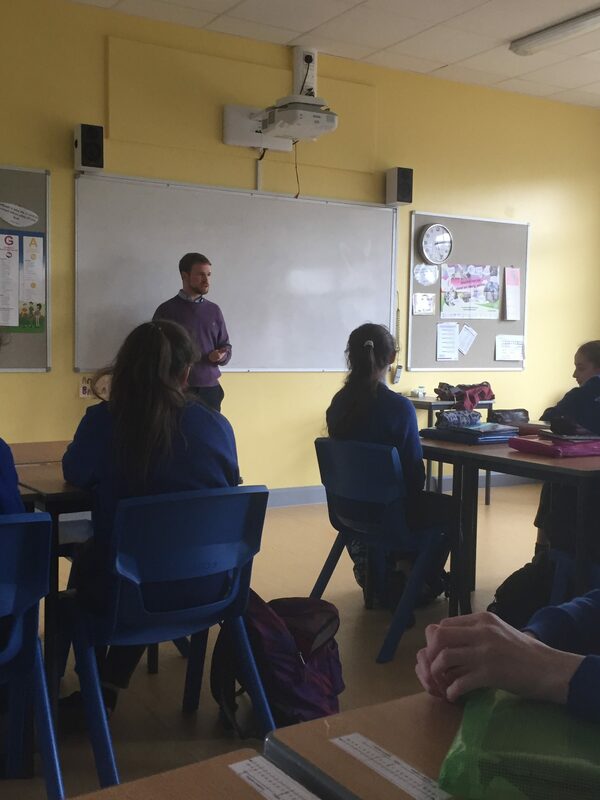 Once all questions were answered from the class Donnchadh worked with one of our first-year students who is undertaking a political science project for his entry in the BT Young Scientist competition.His project was hugely enriched from the helpful input. 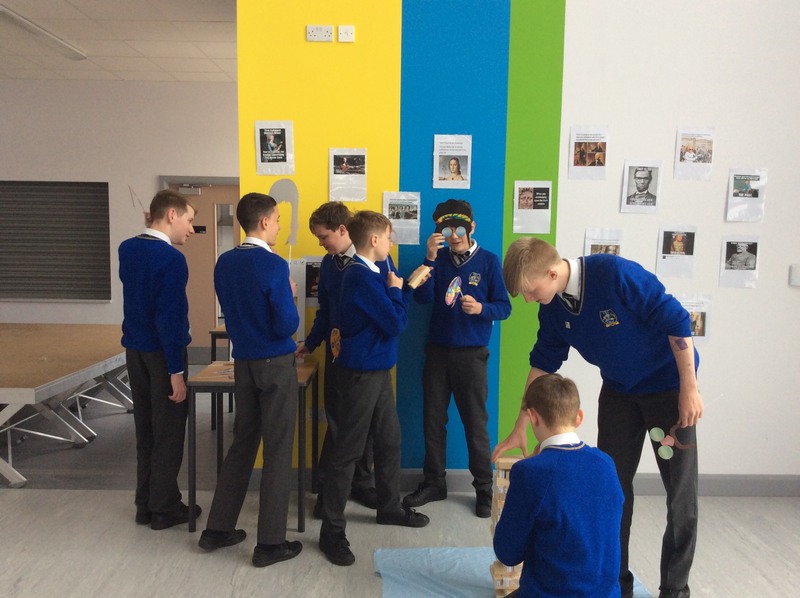 Táimid buíoch as ucht an cabhair agus an am a thug Donnchadh dúinn inniu. Go raibh maith agat a Dhonnchadh. 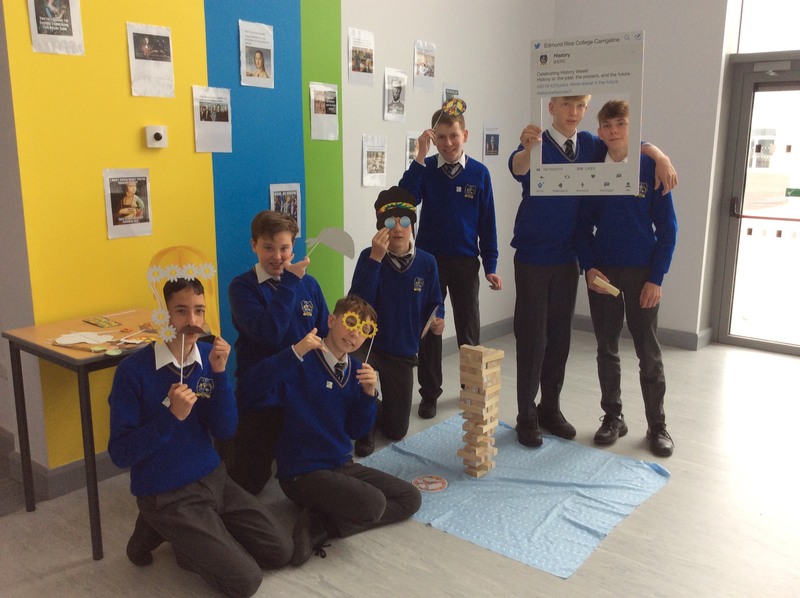 This week, the school celebrates History Week. 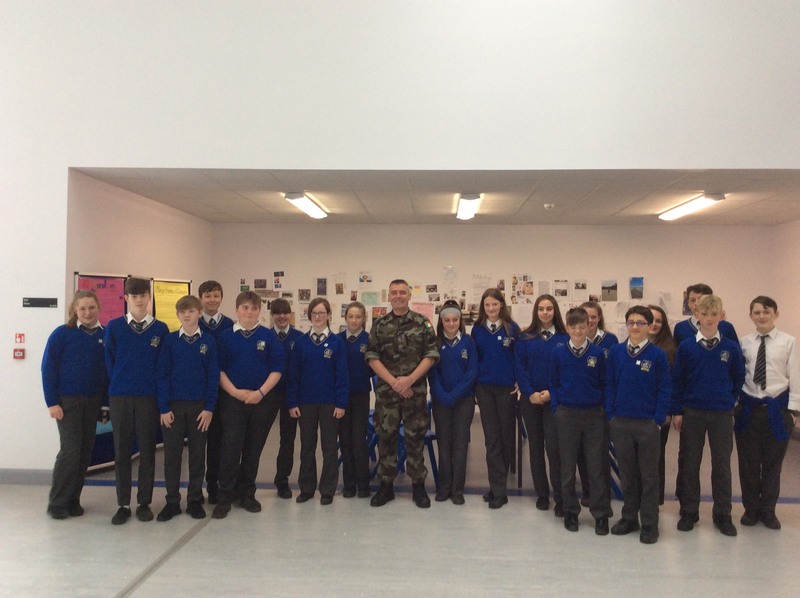 Today we were delighted to welcome Sergeant Denis McGarry from the Irish Defence Forces to Edmund Rice College Carrigaline, who helped us start History Week in our school. 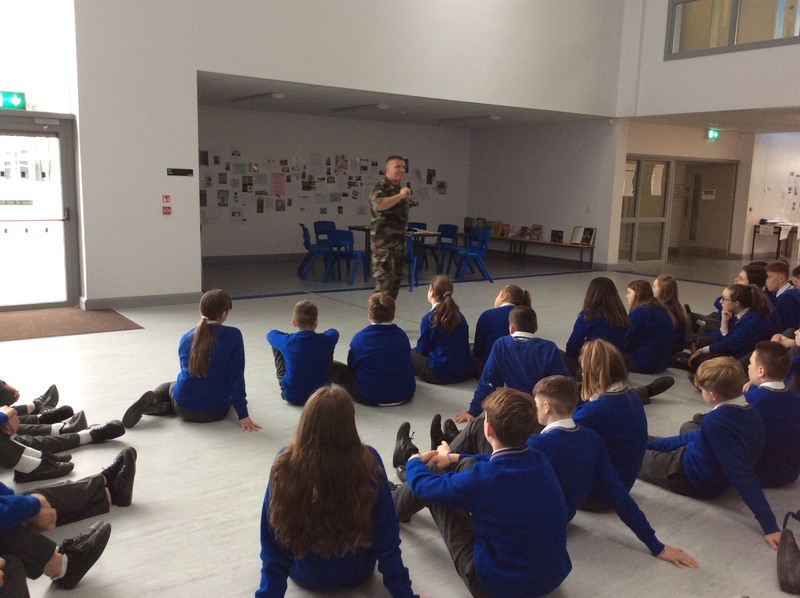 He discussed with the second-years the work of the Irish Defence Forces, (nationally and internationally), and highlighted their important role in Irish history. 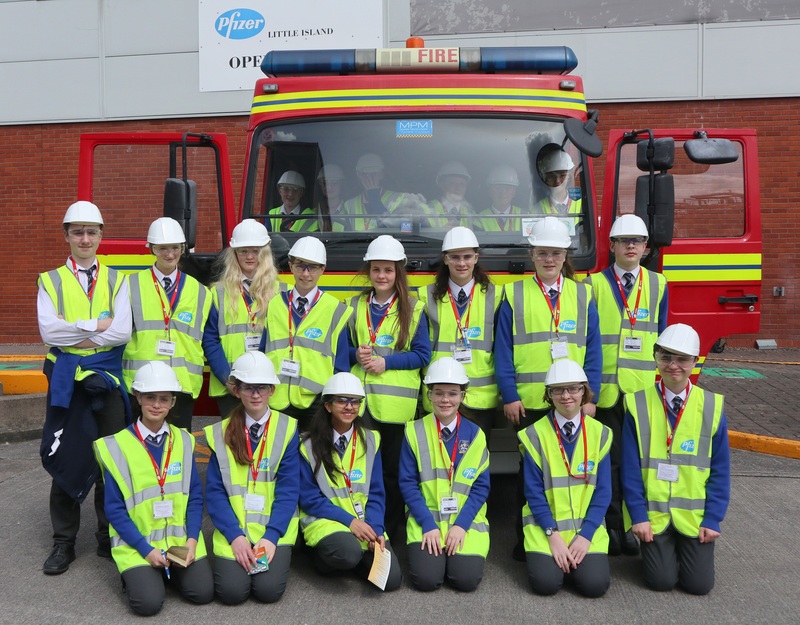 First-year Young Scientists recently visited Pfizer in Little Island to get an insight into the real life contexts of their classroom learning. 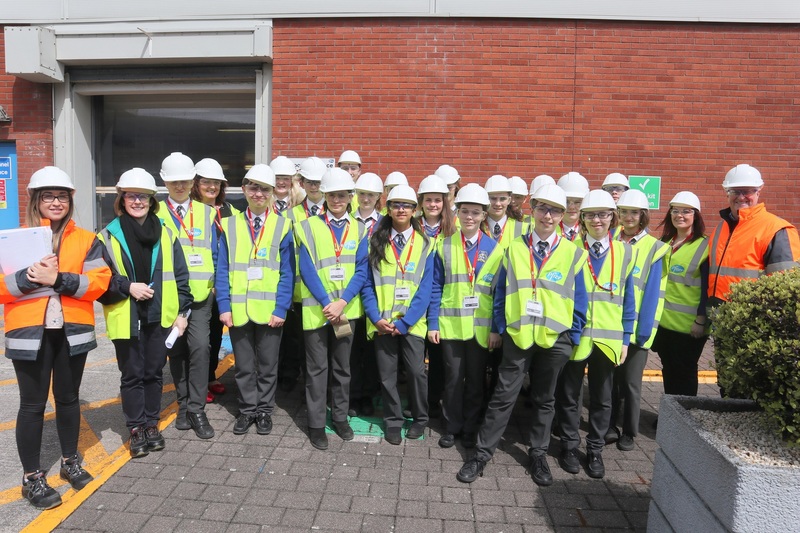 Students were treated to a tour of the full facility including Pfizer’s very own waste water treatment plant. Here they got to see first-hand the quality assurance tests which are carried out to check the water quality. Within the QC lab students saw the importance of good record keeping and were thrilled to see some of the separation techniques they had done in the school laboratory being carried out in an industrial lab too. 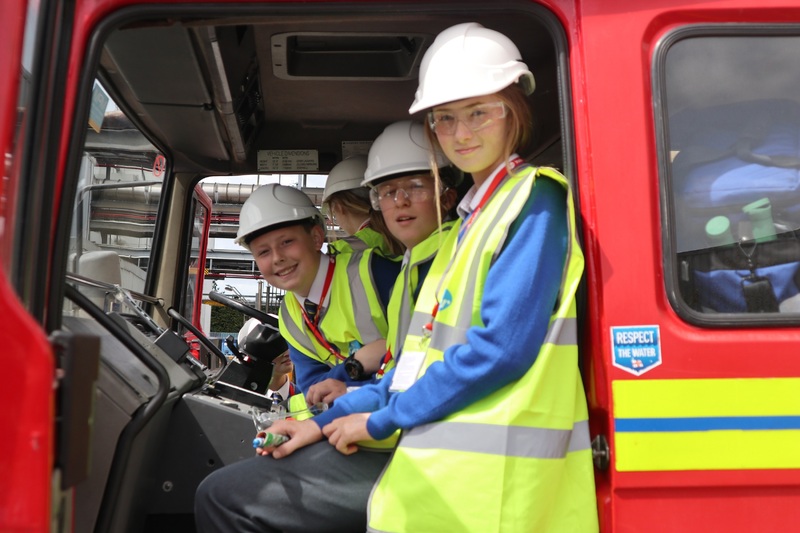 The highlight for some students was getting into the on site fire engine. 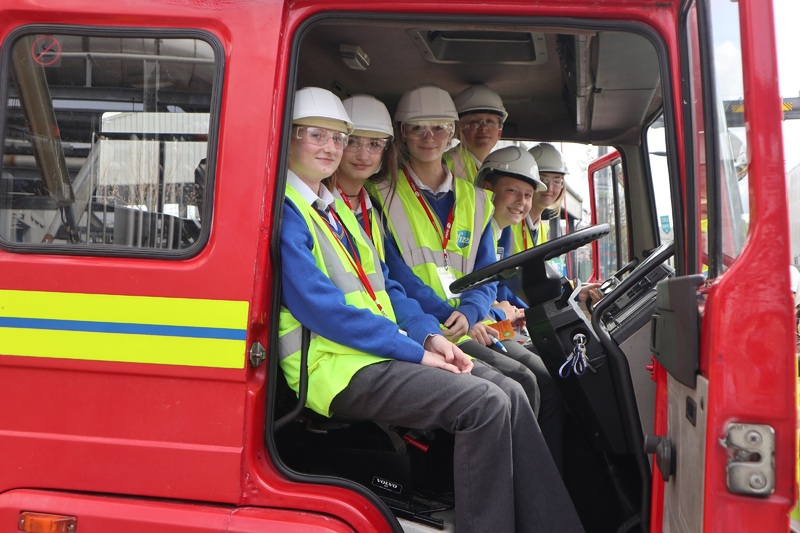 The first-years were delighted with the visit and can’t wait to see more industrial applications of their classroom learning. A big thank you to Pfizers for being such fantastic hosts on the day. 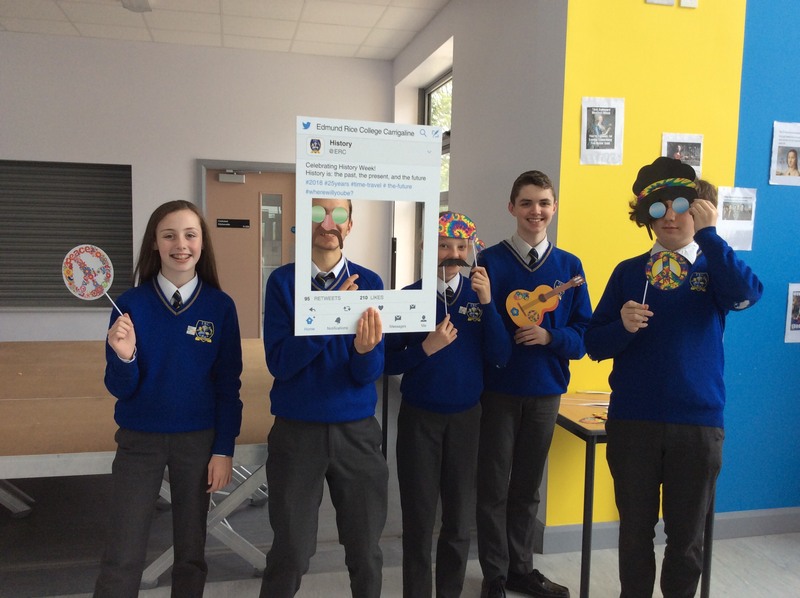 Our English department organised a poetry slam workshop with the poet Stephen Murray for our second-year students. 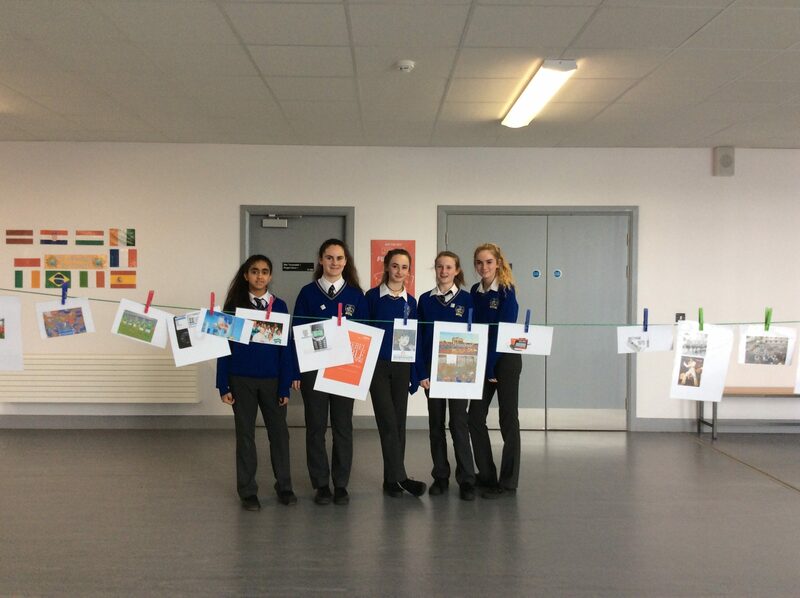 The work completed was very creative and inspiring, helping students to explore their artistic and creative sphere through the power of words. 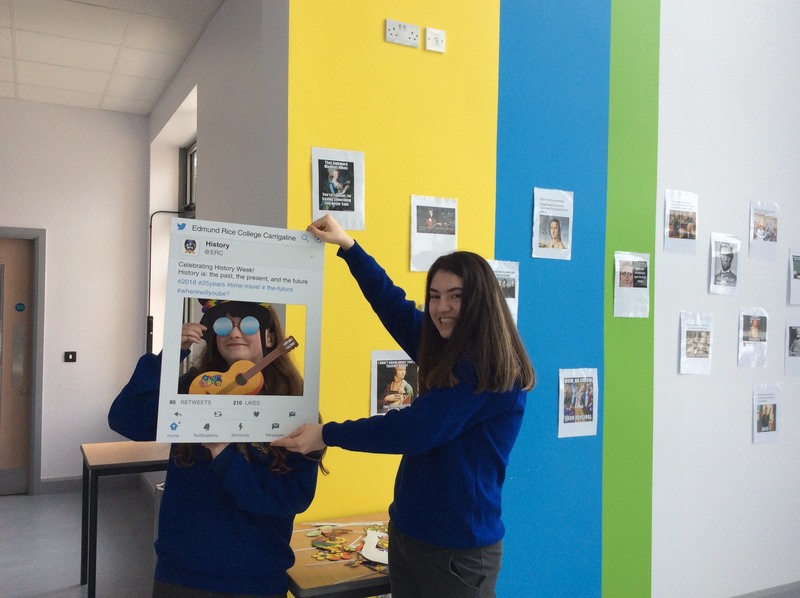 Check out some of the work published online by clicking on the link below.